Our Community Cycling Program provides direct services to individuals to ensure that they can travel by bike conveniently, comfortable and safely. We provide valet bike parking at about 300 community events per year so that attendees can easily choose to ride a bike instead of drive. This year we’ll park some 15,000 bikes. If we assume that each bike is used to travel an average of 1 mile in each direction, that translates to 30,000 miles traveled or 13.5 tons of carbon pollutants kept out of the atmosphere (and everyone’s lungs) – and that’s just this year. Bike Valet is our most prominent and impactful program. Read more here. You can’t rely on your bike for everyday travel if you don’t have a way to keep it in good condition. Unfortunately, most of our region is a bike shop desert with few if any nearby bike shops. 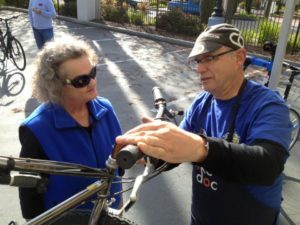 Our team of mechanics provides free maintenance checks and simple repairs at community events in North Natomas, Rancho Cordova and South Sacramento where residents can’t afford or don’t have convenient access to retail bike shop services and supplies. 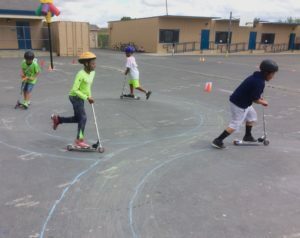 Last year we began teaching kids in West Sacramento the basics of bicycling safely and confidently through a Safe Routes to School program at seven elementary schools. 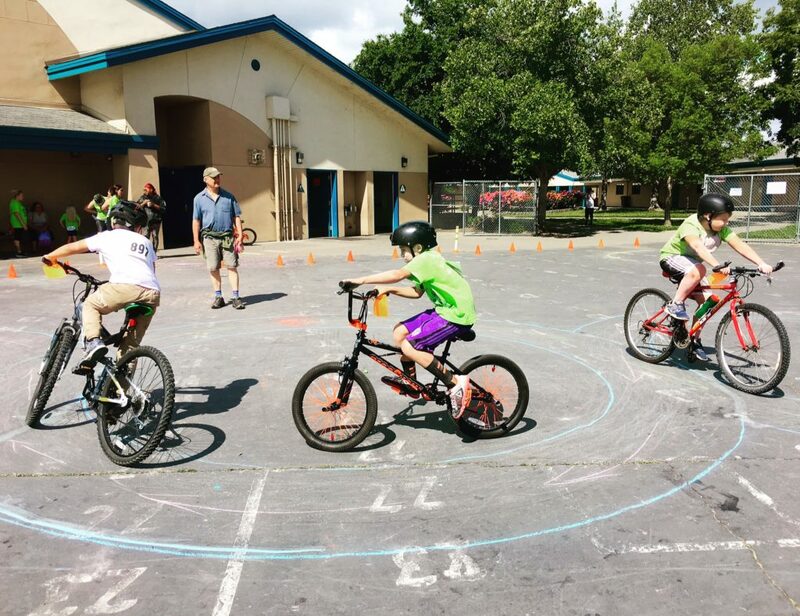 This summer we launched urban cycling skills classes for adults in West Sacramento, and we’re looking to expand into nearby communities.